Shows how women got suckered into going out with the mates their mothers found for them. This collection features 25 victims of poor arrangements, well-meaning fix-ups, and just plain bad judgment calls. Alix Strauss is an award-winning author whose work includes The Joy of Funerals, Based Upon Availability, and Death Becomes Them. 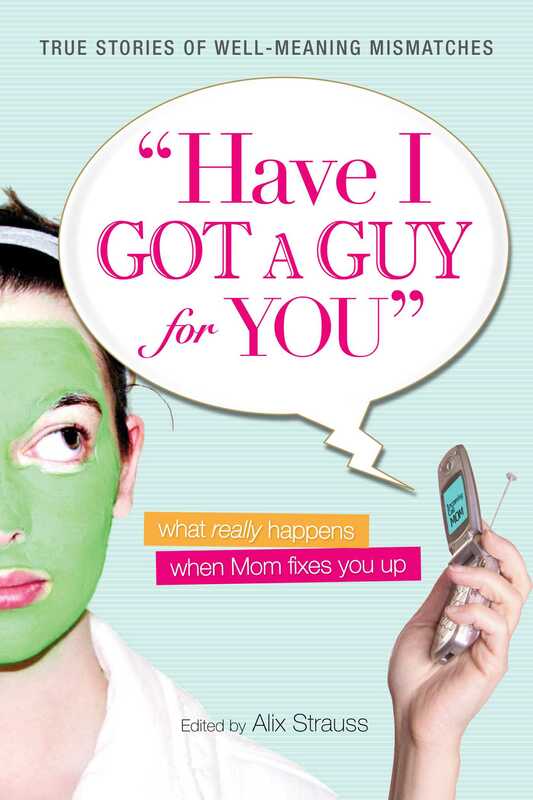 She is also the editor of Have I Got a Guy for You, an anthology of mother coordinated dating horror stories. A media savvy social satirist, she has been a featured lifestyle, travel, and trend writer on national morning and talk shows including ABC, CBS, CNN, and most recently, the TODAY show. Her articles, which have appeared in the New York Times, The Financial Times, Crain’s New York, Time, Entertainment Weekly, and others, cover a range of topics from trends in beauty, travel, and food to celebrity interviews. Her short fiction has appeared in a number of publications, including Primavera Literary Journal, Hampton Shorts Literary Journal, and The Idaho Review. Alix received a degree in Educational Theater and English from NYU. In addition to lecturing extensively, she has taught Fiction, Creative Writing, Critical Thinking, Writing for Magazines, and a 12-week Media Book Camp class for the past twenty years.